D Contemporary is pleased to present Bob Barron’s new solo show, a mix of paintings, mixed media and slate works. If my work is about anything, it is about the passage of time made corporeal through certain images, surfaces and textures. I work with mixed media and oil on canvas. Some of my work is made from waste card that I collect from various outlets. I like the idea of recycling material which has been discarded and thrown out as refuse, and turning it into art. Colour is kept minimal as an alternative to the high gloss of most modern advertising imagery and also to emphasise the surface and texture of the work. I also like working with slate because of the age and nature of the material. Slate is of sedimentary origin, formed from the deposits of minerals collected on the beds of ancient seas. Eventually, these sea beds were pushed to the surface and the deposits were quarried to provide shelter from the winds and the rain. I am interested in the journey from the seabed to the quarry, from the quarry to the rooftop, and from the rooftop to the artwork. Alongside mixed media work, I continue to use traditional oil on canvas. Paint is evenly applied, flat, without gesture and with clean lines as a counterpoint to the torn, scored card and the eroded, broken slate. My work tends towards a minimalist, contemplative style. 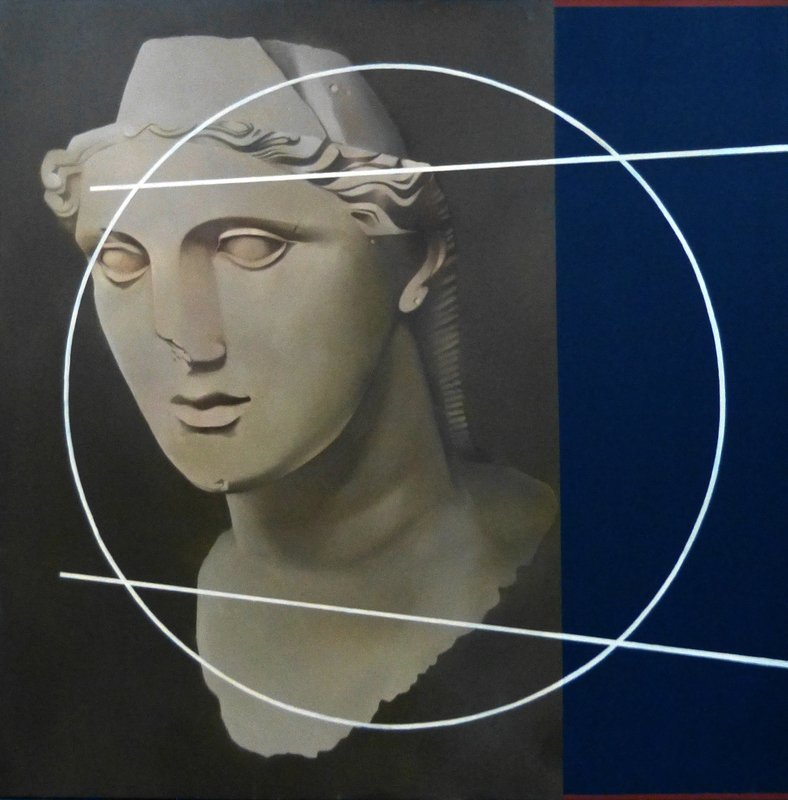 Some pieces are abstract using geometric shapes of squares, triangles and circles, the latter occurring most frequently as the circle, both as a form and as an idea, is at the heart of our relationship to the world and has shaped the development of civilisations from the most ancient of days. In other works, I may incorporate images from the Ancient world or references to the cosmos with suns, moons or constellations. I am also interested in leaving traces of human kind: domestic objects such as spoons or fragments of pottery and imprints of hands and feet. © 2019 Strategy International Ltd. All Rights Reserved.